The Palmer Group » 7 Rodney Terrace In Northborough Sold In A Bidding War – 35k Over Asking. 7 Rodney Terrace listed for $384,900 and sold in the first weekend for $420,000. Bidding War at 7 Rodney Terrace in Northborough. This was one of our classic home owner partnership opportunities. The home owner knowing that their home needed significant improvement to sell contacted us to structure a partnership opportunity. We told them we had a builder client looking for a remodeling project willing to partner with a home owner bringing the construction cost to the table and sharing in any profits made between the two parties above an agreed upon purchase price. 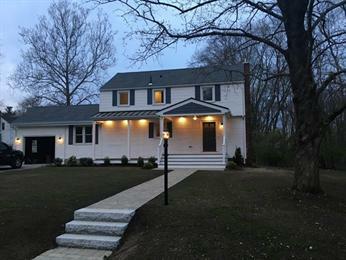 This ended up being a win win for both parties as the builder ended up completely remodeling the home in an agreed upon time frame allowing us to sell the home for top dollar earning them both a share of the profits. The home owner received more money than they thought was possible had they sold the home in it’s run down condition. When you get creative, think outside the box, and have multiple parties working toward the same goals it is amazing how our unique partnership approach can maximize home owners profits. Why We Sell Tired Homes Better Than Anyone. This entry was filed under Recent Transactions, Remodeling & New Construction. You can follow any responses to this entry through the RSS 2.0 feed. Both comments and pings are currently closed.